I love these chairs! Actually, what I love more is the curvy all-one-piece set just behind these. 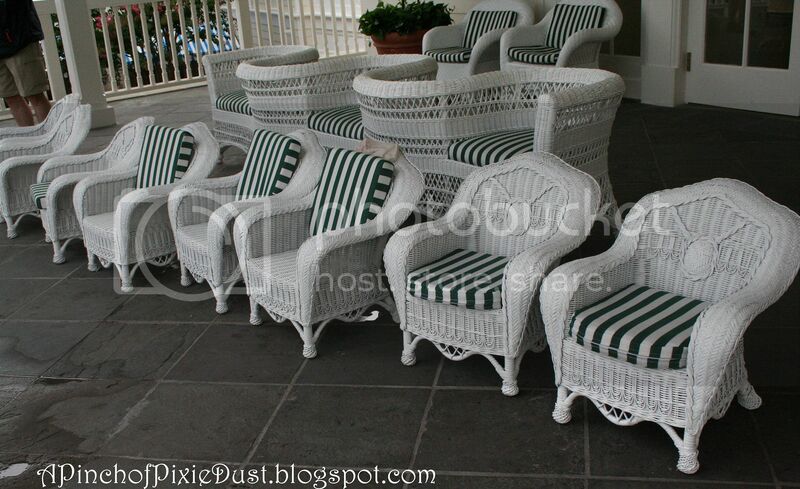 I'm pretty sure I know where these are- my new favorite resort, Boardwalk Inn. This great veranda overlooking Crescent Lake is exactly where I wish I could be right now! I didn't catch the signs last time. haha! Those chairs are at the Boardwalk!